Closed for the season, we'll see you again November 2019! Help us welcome new presenting sponsor, ValleyStar Credit Union! 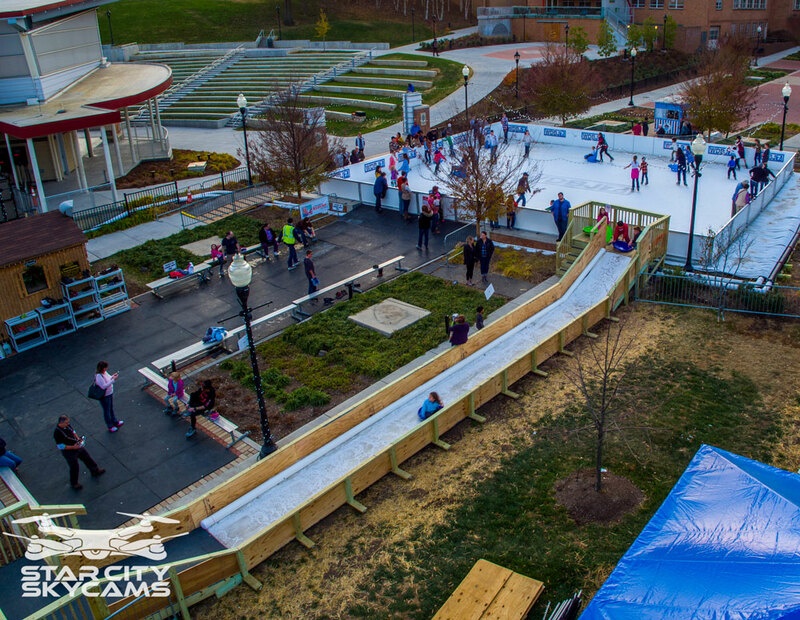 Ice Skating and Sliding in the Middle of Downtown Roanoke! Purchase a season pass for just $75 to skate and SLIDE any time Elmwood on Ice is open! Receive a discount at participating businesses the day you skate. Find out more! Any schedule changes will be posted on our Facebook page. Holiday schedule: On days that Roanoke City Schools are out, open 11:00am – 10:00pm (see above)! 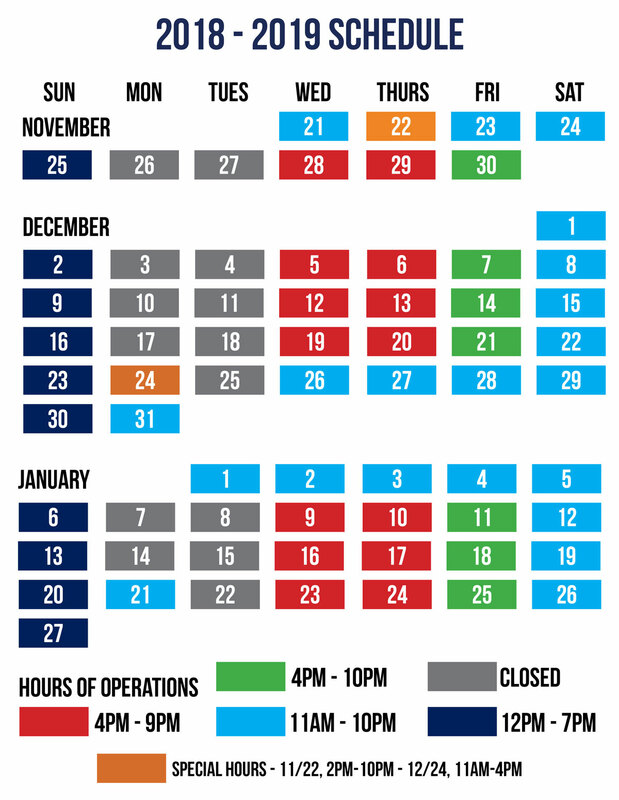 Limited hours: Thanksgiving, Christmas Eve. Closed Christmas Day. Private Rentals are available Mondays and Tuesdays or outside of normal operating hours for an hourly rate of $250. For more information, email scotta@downtownroanoke.org (8am - 5pm, Monday - Friday). For after hour questions, please use contact noted below. Interested in becoming a vendor at Elmwood on Ice presented by ValleyStar Credit Union? Check out our application. There’s plenty of parking around Elmwood Park including the Elmwood Park Garage and Lot - FREE every weekday after 5:00pm and all weekend! For more information on Elmwood Park, including directions, visit our Elmwood Park page. Want to find out what else is going on Downtown? Check out our Event Calendar! While you’re downtown, stop and get a bite to eat at one of our great Downtown restaurants or do some shopping at our unique Downtown retailers. Thank you to all of our sponsors for helping us make Elmwood on Ice presented by ValleyStar Credit Union possible!